Tarun Gupta April 1st, 2013 Cloud Computing no comments. Cloud offers the most convenient way to enhance your company's IT infrastructure. Highly scalable, robust and economical, it lets you grow your online business without any limitations. It is an advanced technology hosting arrangement that is popular and has been widely accepted all around the globe, for its series of advantages. However, just like any other new, advanced idea, cloud hosting also has to answer a number of questions and clear some doubts to prove its reliability. In this article, we are going to take up a few issues that people have with cloud server. Most of such issues are myth and have a proper solution. Cloud Servers are usually like any other dedicated servers, however still people find it little complicated and have been parenting a few myths about it. Let us now take the most common myths regarding cloud server, one by one. Fact: Yes, it is true that cloud is a term of present day, but the concept has been in knowledge since the late nineties. It is now that it has been fully discovered and is getting leveraged. If seen technically, the entire Internet is nothing but a cloud computing setup. As per the Gartner Research, it is expected to witness over 80% of Fortune 1000 companies paying in some manner for cloud computing by 2014. Fact: It is only when your web hosting service provider uses challenging platforms that you would have to rewrite or modify your code to ensure that it properly functions on the cloud. Normally, clouds are building just like dedicated servers and hence, do not demand any kind of code rewriting. Fact: On handing over your cloud computing responsibilities your host, it pretty much becomes your host duty to monitor. Hence, the key is to ensure giving it to a reliable web hosting company that runs all the processes in right queue and maintain the thing the way they should be. Another solution to this complication is end-to-end monitoring over the cloud. Fact: As long as your web hosting service provider is employing high-end cloud computing software, and is ensuring no abusers on the network, your cloud is safe and secure. A cloud may be insecure only if it networks contains abusers. Hence, in this aspect, your web host plays a very significant role. As otherwise, cloud has no technical errors and do not lose data even it is extraordinarily extensive. Safety has been guaranteed on large cloud environments. 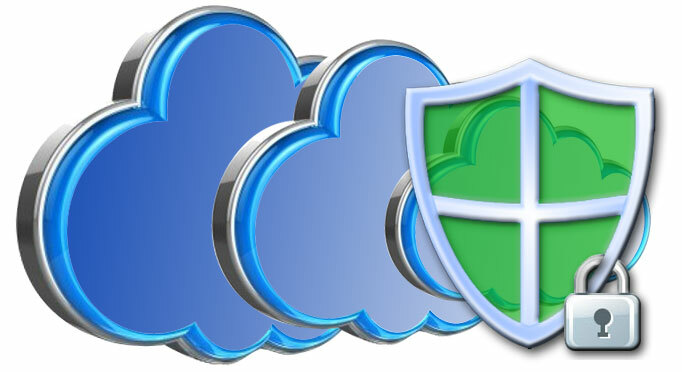 Moreover, with the present day technological advancements, cloud has become impressively smart and secure. Fact: Many things have been said about the compatibility issues between IT infrastructure and cloud. Cloud has definitely emerged as the most convenient and affordable choice for most companies and hence, companies may have to modify their existing IT infrastructures to ensure that the the system compatible on the cloud. However, the great resort to this complication is the hybrid cloud, which is competent of taking care of all the compatibility issues. In addition to the above mentioned loopholes, there may be certain other doubts that people can scare you with. However, you have to remember that Cloud Hosting Services have been in their advanced form from past three years and hence, a lot of issues have been resolved. Technical experts have leveraged every aspect of clouds. Every complication that can arise with your cloud server account can be fixed quite impressively. In the end it goes without saying that cloud hosting is the most secure, reliable, scalable and extremely affordable arrangement.